The Soling was introduced to SSA by Stuart Walker in 1969 after the Soling was selected as the three-man keel boat for the 1973 Olympics. 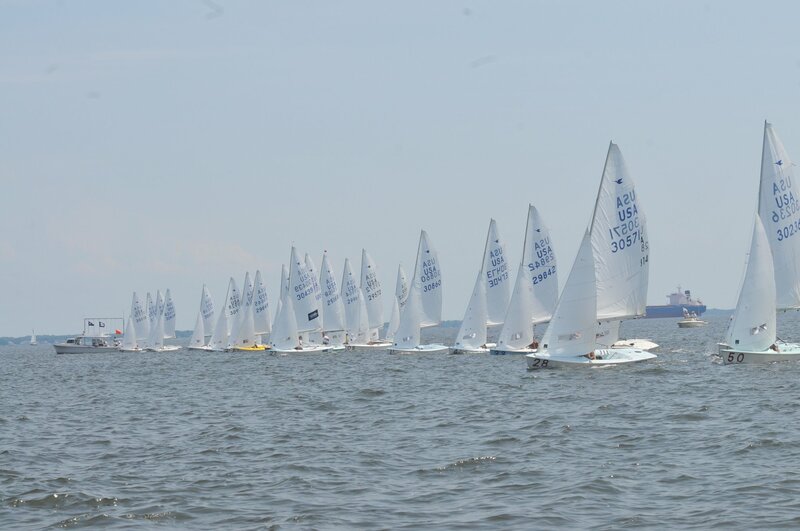 The SSA Soling Fleet has grown steadily since then and now boasts the largest fleet on the East Coast. The Soling has classic lines and is a delight to sail but the challenge in the Soling lies in its subtlety. The boat is responsive to small changes in tuning and sail and rig controls have evolved to a high degree of sophistication. 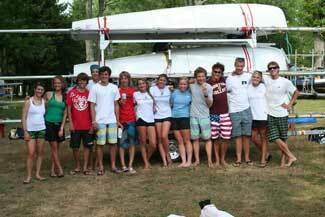 Above all else, success in the Soling class depends on skill and teamwork. The boats are roughly comparable in speed and old boats win races if sailed well. For the seasoned racer, the class offers the opportunity to compete against world-class competition. For the less-experienced skipper and crew, the Soling class provides the chance to learn from outstanding teachers. Racing continues year round, with a winter frostbite series. 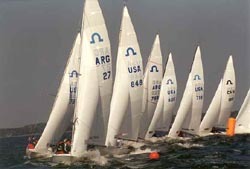 The informal winter format of three to five short races provides ample opportunity to experiment and practice tactics and sail-trim. The competition is always close and the weather never as cold as expected. Racing is followed by a post-mortem, where the victors--tongues often loosened by beer--explain to the rest what should have been done. If you are interested in joining the fun as a skipper or crew, contact the SSA Soling fleet captain. For more information, visit the International Soling Class.